My son regularly sends us videos of his baby via WhatsApp. The videos have been taken on Samsung phones & are in MPEG4 format. They are usually 1-2 minutes long. Every few months I edit the videos, string a number together & create a Roxio movie of 25-40 videos lasting 45-60mns. I have a Dell PC operating Windows 7. All Windows upgrades have been applied. I have used Roxio regularly for several years – first CREATOR 10 Suite and now CREATOR NXT2. I create a Production in VIDEOWAVE & then Output to a file using the video file quality ARCHOS MPEG4 (AVI) Best Quality. Up until about 4 weeks ago I had not experienced any problems & I have a set of excellent videos. Now, for no apparent reason, while in the Rendering process my PC freezes – totally. The only way to get the PC going again is to turn the power off / on at the mains. This happens most of the times I am attempting to produce an output file. This might be the first video in the production, the last or anywhere in between. There is no pattern. I have tried options such as Hardware & Software rendering, with or without Transitions, and other file output formats. Sometimes the output file is created but more often than not the PC freezes. I applied the Repair option & then uninstalled / reinstalled Roxio – these had no impact on the freezing. A friend has ROXIO CREATER NXT PRO4 on his PC (running Windows 10). I created the same production as on my PC & output movie files seven times in a row without any problems. I tried different options (rendering, transitions & file format) and everything worked well. Purely as a test, I loaded NXT PRO4 on my PC and tried again (after removing NXT2). After several tests I found that the PC was freezing at least half of the time. I cannot explain why VIDEOWAVE should stop working like this and am hoping that the Roxio experts will be able to offer suggestions to help me. Could it be that the problem is caused by my PC? Is a Windows file or buffer (that I know nothing about) be full? My inclination is to move to Windows 10 & then upgrade Roxio. But this an expensive route with no guarantee that the problem will be fixed. Reboot the PC and shut down all running programs including antivirus and firewall software. Place your installation disc in a drive and run it, choose repair, when done reboot the PC. Any NXT2 updates need to be reapplied. Your source files work fine on your friend's machine, so there's nothing wrong with them. There is something wrong with your machine, and changing/reinstalling the software hasn't fixed it yet. Rather than trying an entire new Operating System [There be DRAGONS!!] I think you should work on getting your Windows 7 straight again. Windows 7 is a good, mature Operating System, and if a system develops a fault you should never hope to fix it by 'upgrading' your software. If I remember correctly, NXT2 only allows you 10 installs before your key expires (it doesn't care about Repairs) so don't go uninstalling/reinstalling unnecessarily. It would be useful for you to clean the machine up (logically) as Cdanteek suggested. This is worth the time it takes, and should be done regularly to keep the machine 'lean and clean.' The steps are Startup, Cleanup, Defrag, and Scan. - First check the programs which run when Windows starts, and disable any that aren't absolutely necessary. Run MSCONFIG.EXE and uncheck unnecessary programs in the Startup tab. Reboot Windows, and it will start without those things running. - Right-click on your hard drive in your File Explorer, and select Properties. 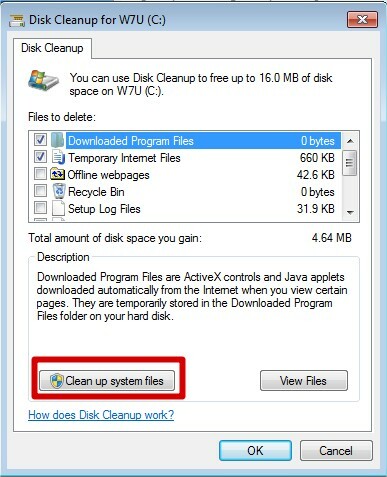 Then click on Disk Cleanup, and in the box which appears, click Cleanup System Files. 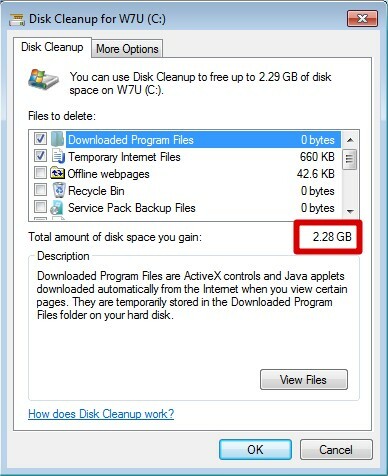 Windows will do some calculations, and when you give it the go-ahead will delete all the old garbage it indicates. I usually tick all the boxes and delete everything it allows. It's amazing how much there can be. -Once you've done that, go back to Properties (first picture) again and click Tools. Then click on Defragment now, and go do something else while the hard drive is defragmented. It might take hours but it will be worth it, and it won't take so long next time. -Now your system is lean and clean, you should make sure that this problem isn't caused by broken Windows files. Open a CMD window with Admin privileges, and type the command sfc /scannow <enter>. The system will scan its vital organs and replace any corrupted files. You might need your Windows 7 disc handy. Exit the CMD window when finished. If you do all the above things your system should be running properly. Please ask if you have difficulty following my instructions. First of all thank you to Brendon & Cdanteek for their help with my NXT2 problem. I followed Cdanteek’s advice carefully & to begin with all looked good, but then the “freeze” problem reappeared. %temp% identified 1159 files & folders. I was able to delete all but 7. While writing these comments my PC froze again – nothing to do with Roxio. I then started work on Brendon’s advice & the PC froze in the middle of a Defrag. I am sure this confirms Brendon’s view that my PC is the problem, not Roxio. I think I would be more comfortable if an “expert” took over so I plan to take my PC to a repair shop in town. I have used him in the past & trust him. But I will not be going to Windows 10 unnecessarily. I'm sorry we couldn't solve the problem for you, but from what you say it does seem like a hardware matter. I hope you get a good result from the man in town.